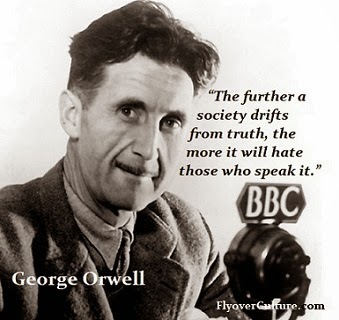 There are a several fundamental variables to support Russell's comment. Let me just say that all these bubblevision "experts," who get on t.v., or pen commentary in the Wall St. Journal, and cite declining jewelry demand or industrial demand as reasons why the price of gold is at a top and going lower, have absolutely no clue what they are talking about - in fact, they look like absolute idiots to those who do (see the recent article by Dave Kansas of the Wall Street Journal. I am in shock the WSJ published such sloppy, incompetent reporting). I will address all the reasons why gold is going much higher in future blog posts. 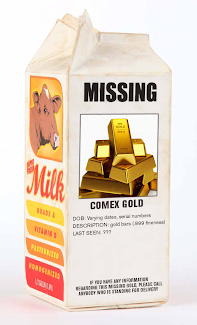 But I would like to say that, based on evaluating a lot of evidence that has been brought to my attention from some people who are in a position to know the facts - plus my own recent experiences in dealing with gold and silver deliveries from the Comex - there is a rapidly growing problem with the ability of three or four big banks, who are short Comex and LMBA gold futures contracts in large quantities, to make good on the actual delivery of physical gold. I am now hearing accounts of some large investors being offered cash settlement of their futures contracts at spot plus substantial premiums over spot. In other words, there is a condition of "backwardation" in the gold market that is not evident to the casual participant. This alone, if I am correct, will drive the price of gold substantially higher (and of course, silver will go up even more in percentage terms). What if I'm just waiting for equities to crash? Morla, that's a great question. My fund partner and I discuss what will happen in an equity crash to the price of gold/silver/miners almost every day. This is my view - and it's an opinion only based on observing how gold has behaved in the past. I think if we get a good 20% or more sell-off in the stock market, that initially everything will get hit to varying degrees. This is because the hedge funds who are leveraged up have to blindly dump everything not nailed down to meet margin calls. I think gold will get hit, but not anything like stocks in general. I think silver, just because it's illiquid and volatile and a small market, will get hit hard, but less than the stock market percentage-wise. I think the HUI index will go down as much or more than the stock market in general, again because of the HUI beta vs. the SPX. The key is to have cash for this. Most people no idea about this, but the small mining stock index that existed back in 1929 went up over 500% after the crash of '29. People who bought mining stocks after that crash were wealthy by the time 1935 rolled around. 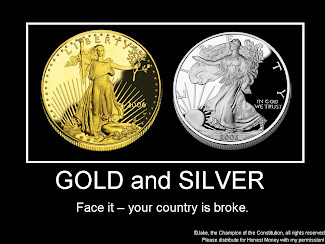 If you don't have cash deployed in gold, I would take at least half of what you want to invest and buy 1 oz. 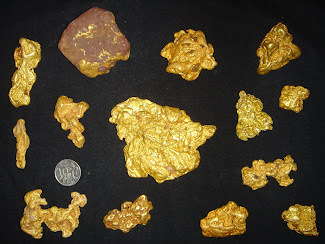 bullion coins like gold eagles or austrian philharmonics. Make sure that you take delivery of them and safekeep them yourself. NOT IN A BANK SAFE DEPOSIT BOX. Then wait for the crash you expect and deploy the rest of your capital for gold PLUS load up on silver and good mining stocks. 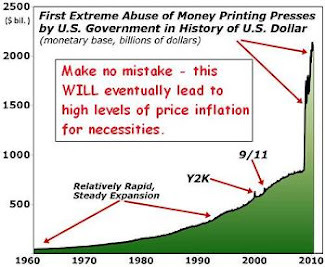 This way, if Bernanke is on a mission to print so much money that he reflates all the old bubbles, especially the stock bubble, at least you will have some money invested. And in this scenario, gold outperforms the SPX by at least 2:1, silver by at least 4:1 and mining stocks by at least 5:1. 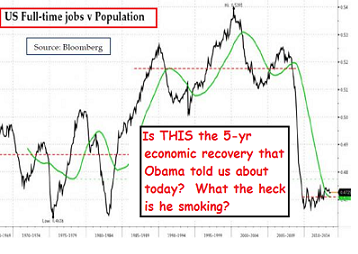 I would say that the way things are looking today, that Bernanke has already begun to hyperinflate everything. Do you declare it in home owners insurance? If you do, there will be a clear on file record of what you hold. I have always rolled that one around in my head. Love the picture of the gold coins, but I am partial to bars myself! I would not declare it on home owners insurance. You don't want a paper trail of proof you own it. I'd keep it somewhere you know thieves and fire can't get to. I would agree with you. Great material all week by the way. Thanks gyc. Likewise on your blog, which has an interesting content "slant." on paper the Patriots should win. In reality the game is in Denver where the Pats have always had real issues with turnovers and losses. I like the score 19-14 and it could go either way. Can the Broncos beat the Chargers? Their whole playoff possibility will require them to beat those guys. gyc, Chargers may be overrated this year. Either that or they'll do what they did last year - start really slow and then come on strong at the end. They were only 8-8 last year. To me it's amazing the kind of worshipping the Chargers get for a team that hasn't accomplished anything since Shottenheimer was canned. As for today's game, it will be fun to watch either way. I think FLA and 'Bama are the teams to beat in college. how does football equate with gold futures? I think you are way off. Gold is in a parabolic top right now. The speculators might be able to push it to $1100 an ounce, but I doubt much higher. Last year I heard the same arguments being made about oil and why the fundamentals pointed to oil going higher even as it was trading above $140 a barrel. Hmm... that didn't work out to well for the oil bulls did it. They were crushed and wiped out in a matter of months. I firmly believe we will see the same thing happen to gold investors. 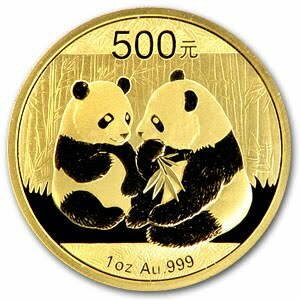 I have nothing against owning gold, I purchased my bullion coins back in 1999 at $272 an ounce when it was truly undervalued. I literally laugh when I hear people say today that gold is cheap and a good buy. Why didn't they say that 10 years ago when no one paid attention to gold? I did and made a nice profit. 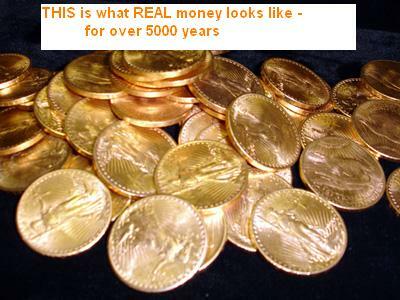 I believe the money to be made now is to short gold. Purchasing either put options on GLD or purchasing an inverse ETF or ETN. Obviously, timing is difficult in knowing when the decline in gold will begin but I follow sentiment indicators closly and it points to gold falling soon. Beware of advice from investment gurus who issue opinions and don't have the facts to back it up. Oh yeah, by the way, supply of gold is 3 times demand. That is a fact!! 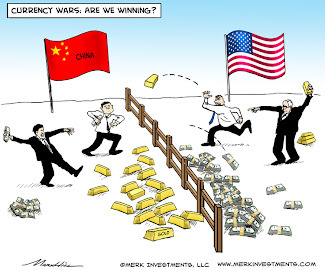 Hard to believe the misinformation that exists out there right now on Gold and precious metals.